So today I am up with a most affordable subscription box "EUPHORBIA BOX" on my blog. Price:- Each month subscription box is price Rs.248/- where you will get 5 products. (isn't it amazing? ). You can go for each month separately or you can go with 3 months of subscription box which is price Rs.744/-. I got the box as a pr sample to review. First of all, I was never expecting the price of this box will be so affordable. Secondly, the box comes in a beautiful package which I just love it. All the 5 products in a box are so perfect for women in this season that I am amazed by it. 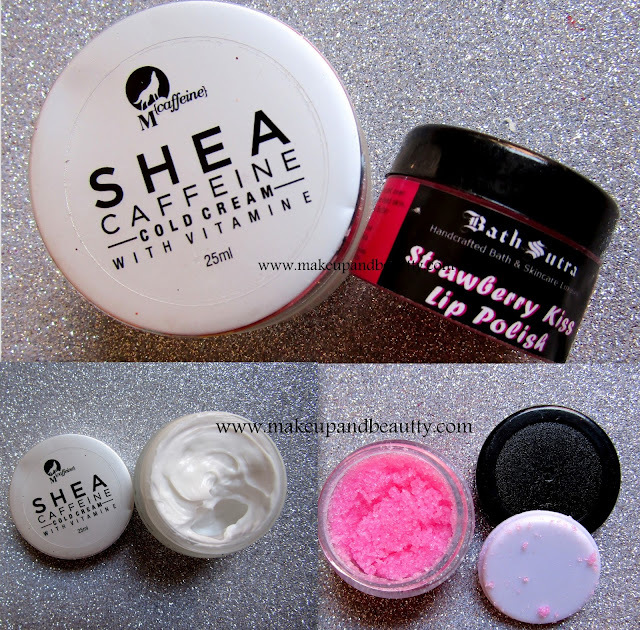 The cold cream is perfect for winter now. 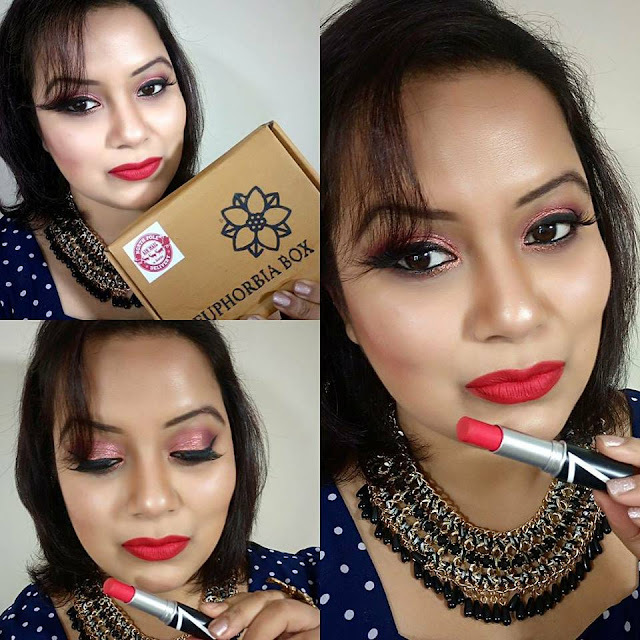 The matte lipstick looks awesome and as red is one shade which suits everyone and so this lipstick will go perfectly in this box Moreover, I am a red lipstick lover so it just perfect for me. Next, the lip scrub is one of the product among all 5 which I love most. I used it immediately after I opened the box and it just smoothens my flaky lips within few minutes after scrubbing (much needed for me! ). The earrings look so cute. I just love it (I will post a picture wearing it later )Next, the feminine wash pouch is a must-have while traveling as it is easy to carry anywhere. Overall I just love all the products in this box and very happy that how perfectly they thought to put all these together in this affordable box. I will put an update on each and every product after I use it. Till then if you are planning to try out this box then don't think much just head over to here to get your subscription box today. Got this lipstick in Euphorbia Box named as "Poppy Red". Love the lip shade on my lips. 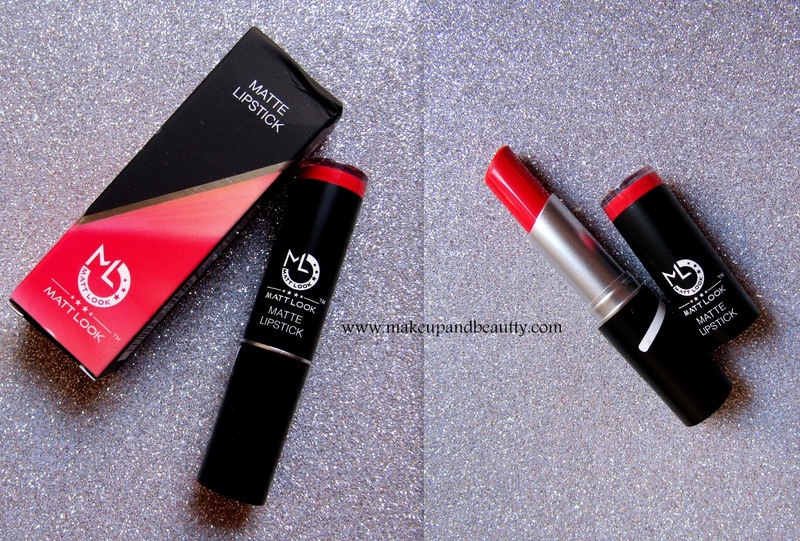 Full matte. 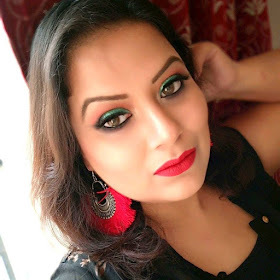 Comfortable on my lips and staying power is approx 5hours in this winter with slight fading from middle part of lips if u eat or drink anything (which is a common factor in most of lipstick). So, that's all for today. Until next time.